Scott Green and Ron Winter have retired, opening up two slots at the referee position. The NFL has not hired a referee straight out of college and into the NFL since the 1970 merger, so the two new white hats will come from the current roster of officials. In the past, the NFL has auditioned current officuials at the referee position during the preseason. 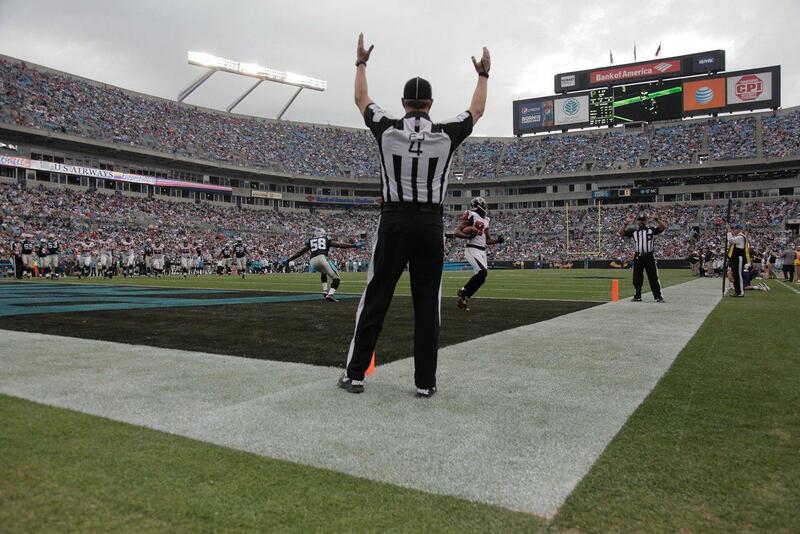 In 2013, the NFL auditioned Wayne Mackie, Adrian Hill, Ronald Torbert, and Craig Wrolstad at the referee position. While the NFL could consider other candidates, there is a very strong chance that two of those four will be appointed as new crew chiefs starting this fall. All indications are that Craig Wrolstad (pictured) and Ronald Torbert will be promoted to referee for 2014, although that is not yet confirmed. Both distinguished themselves in their auditions and both were assigned a playoff game this past fall (Mackie was also assigned a playoff game and Hill did not receive an on-field assignment). One factor that may be working in Wrolstad’s favor is he just completed his 11th season. This means the window will start to close in the next few seasons, so if he’s going to be a referee, it needs to happen soon. Torbert has pretty extensive experience already as a NCAA referee and has distinguished himself as a side judge.